Members of the Arcanum-Butler Schools chapter of Darke County We Are the Majority held their second annual Y-Night Friday evening at the YMCA of Darke County in Greenville. 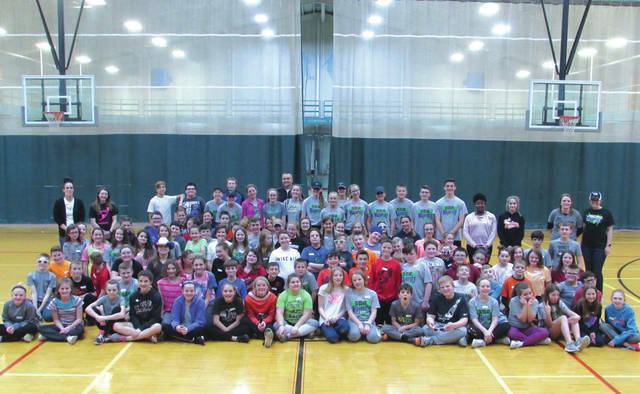 GREENVILLE — Members of the Arcanum-Butler Schools chapter of Darke County We Are the Majority held their second annual Y-Night on Friday evening at the YMCA of Darke County in Greenville. 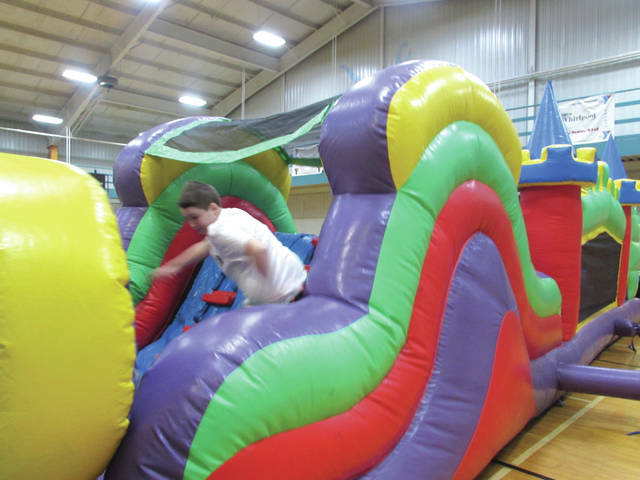 The event featured pizza, drinks, swimming, basketball, a bounce house and other fun activities and was funded by a grant from the Coalition for a Healthy Darke County. Arcanum K-8 school counselor Ashley Matheson helped organize the Arcanum-Butler We Are the Majority chapter, as well as Friday night’s event, with her friend Kelly Harrison, a prevention specialist at Recovery and Wellness Centers of Midwest Ohio. Last year’s Y-Night was a huge hit, Harrison said, prompting this year’s “teen leaders” to keep many of the same activities. Darke County Chamber of Commerce President Sharon Deschambeau and Arcanum Middle School and High School intervention specialist and school counselor intern Amy Seger also were crucial in bringing Friday night’s event to fruition, according to Matheson. We Are The Majority is an after-school leadership program organized by Recovery and Wellness Centers of Midwest Ohio. The program is open to high school and middle school students throughout the county and encourages young people to live drug, alcohol and tobacco-free lives. Harrison started the program in 2013. She originally had a group of only five teenagers to work with, but the group’s membership has since expanded into several area schools, starting chapters at Tri-Village, Greenville, Franklin Monroe, Versailles, Ansonia and Mississinawa Valley. Activities organized by the group previously include after-school study sessions and a “color war” in which members of the Arcanum-Butler and Franklin Monroe chapters pelted each other with water balloons and packets of powdered paint. Greenville City Schools held a mother-son dance in March while Ansonia students held a health fair for second graders and Arcanum students helped organize an assembly on alcohol literacy. Events planned for the coming month include a Global Day of Service to be held April 12-13, as well as a third annual Majority Awareness Walk through downtown Greenville on April 22. Any student who is drug and alcohol-free is able to participate in the program, which is based on the We are the Majority Initiative begun by former Ohio Gov. John Kasich. The driving focus of the program is to promote the fact that the majority of students are not abusers of alcohol or illegal drugs. This entry was tagged Arcanum, Arcanum-Butler, Arcanum-Butler Local School District, Arcanum-Butler Local Schools, Arcanum-Butler Schools, Chamber of Commerce, Coalition for a Healthy Darke County, Darke County Chamber of Commerce, Darke County We Are the Majority, Greenville, Recovery and Wellness Centers of Midwest Ohio, We Are the Majority, Y, YMCA, YMCA of Darke County. Bookmark the permalink.